Needed to do a spot of Christmas shopping yesterday and it seemed like a good idea to do it by bike. The R100RS has panniers so what better machine for the job. 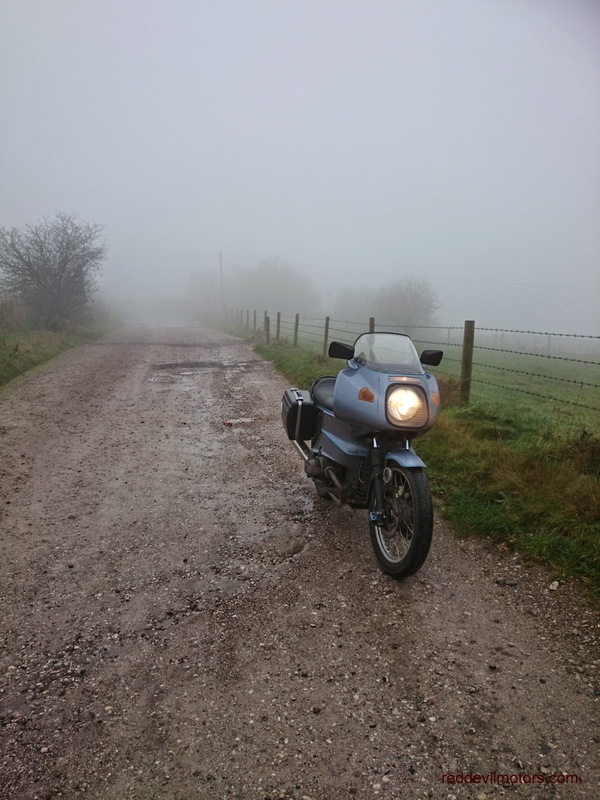 The conditions were foggy and damp and the road greasy. The ride served as a timely reminder that the handling of the Beemer needs some tuning. I'm not sure I've owned a bike before with such a disparity between horsepower and handling capability. I'm certain this can be significantly improved. A pair of new shocks are on the shopping list and a fork service is needed. Does anyone have recommendations for the best tyre combo? but the handling certainly needs tweaking. Hard to recognise any of the machines here but looks like a line up in a mid-twenties competition event. Can anyone out there throw any light? 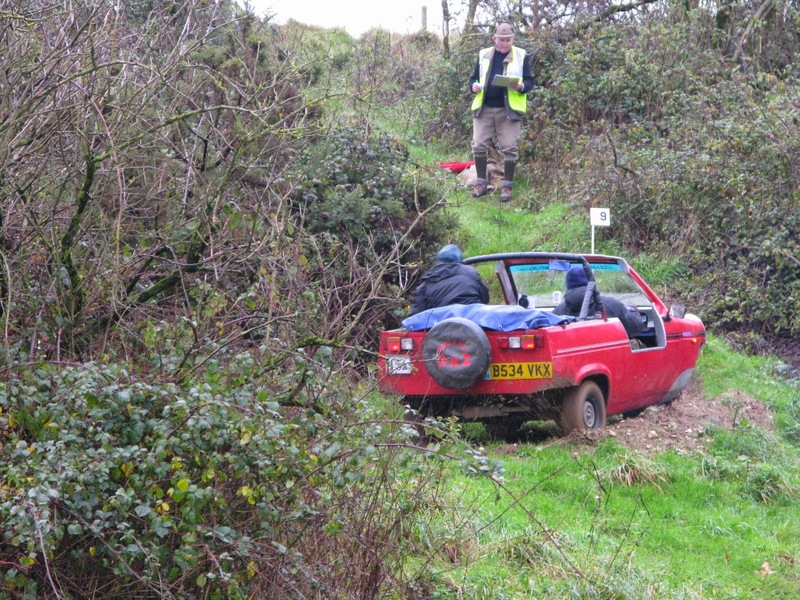 The Hardy Trial is in West Dorset and organised by the Woolbridge Motor Club. It is what could be called a 'short long distance trial'. The start is 8am on a Sunday morning and the 70 mile route can be finished by 1 or 2 in the afternoon. Dan had entered last year and was a vocal proponent. 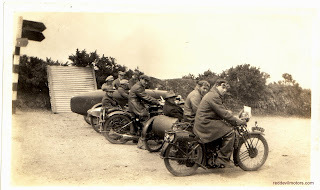 Matt and myself were persuaded to enter along with Toby on Dan's Royal Enfield Bullet on loan. 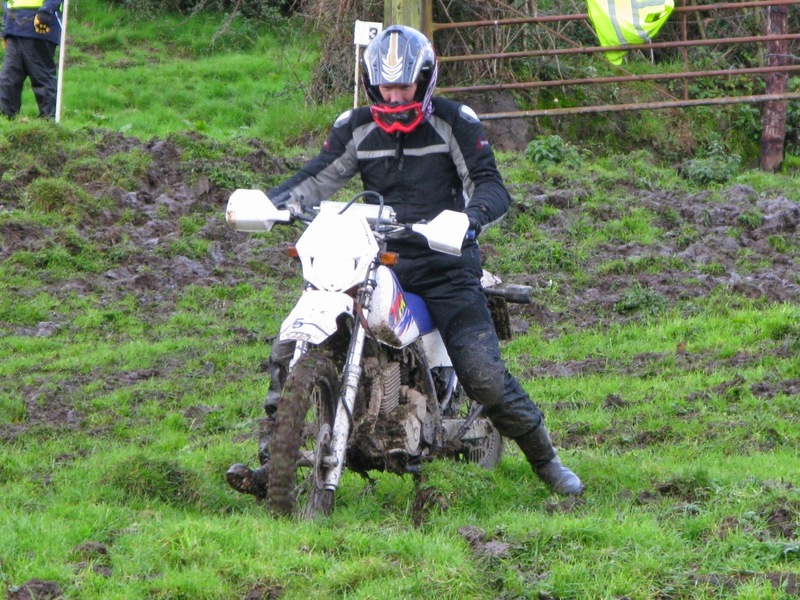 A week before the event I had no trials bike. I did however have my faithful Indian Bullet, a pair of trials wheels to fit it and a 12 tooth gearbox sprocket. 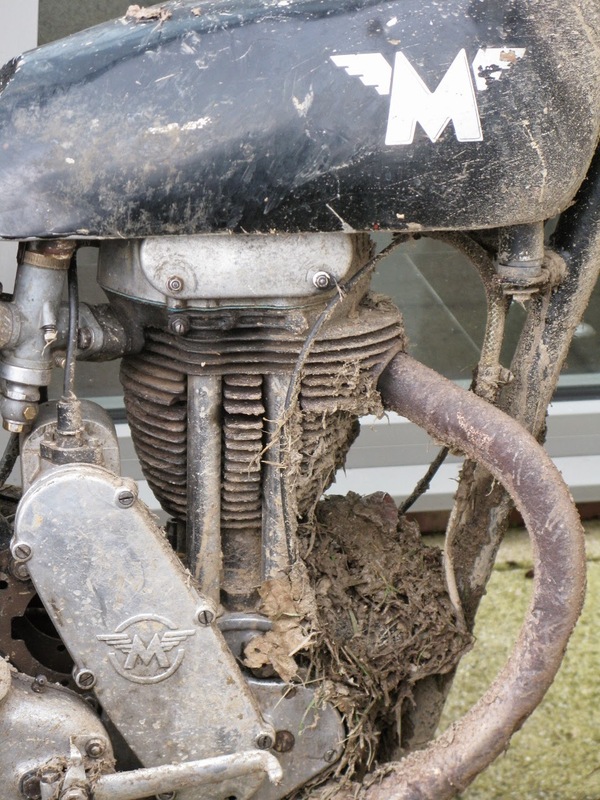 The Bullet has competed in MCC long distance trials before (though I should add without great success) in standard trim. 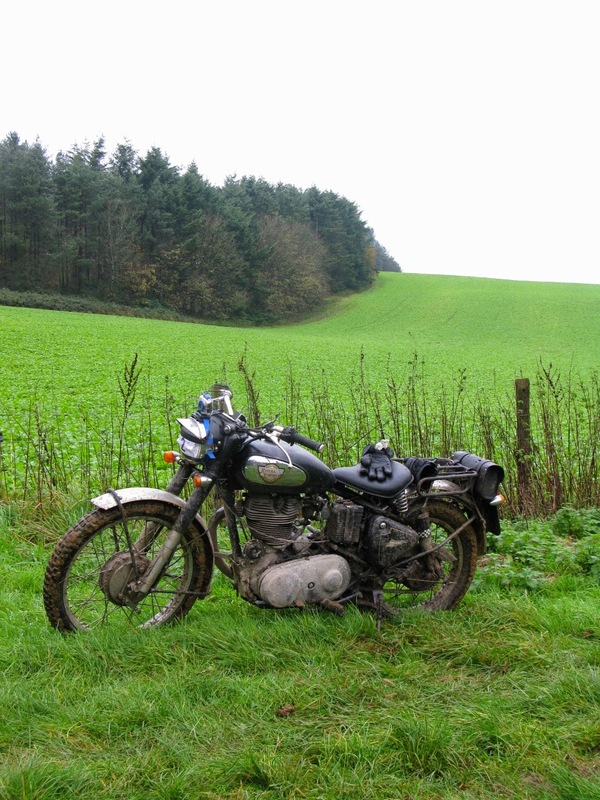 Dan promised that the Hardy Trial was in fact easier than the Lands End or Exeter events so surely with a pair of not quite worn out trials tyres the Bullet would be unstoppable. 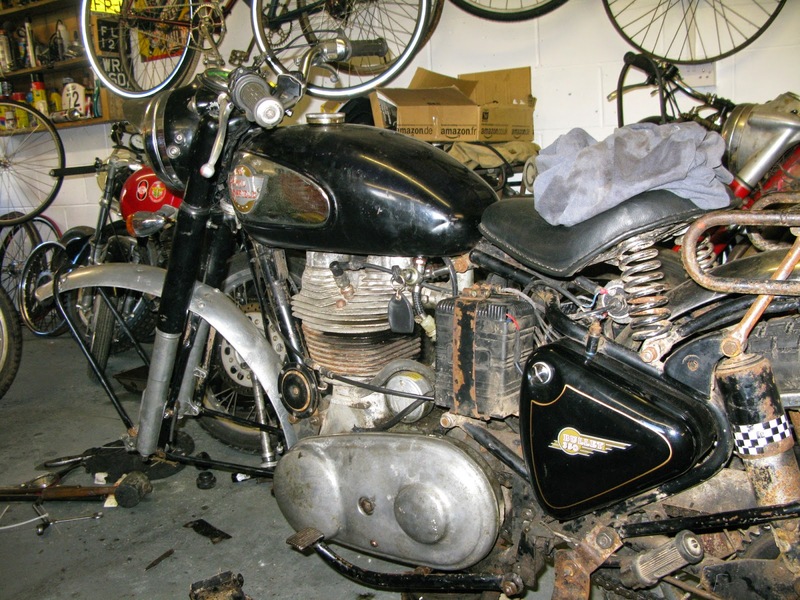 The work on the Bullet was completed the Friday before the trial; of course the simple job of swapping wheels, sprocket and fitting a sump guard proved to be anything but. Matt arrived from the Midlands to stay on Friday afternoon. We prepared on Saturday eve as all champions do by eating too much too late, drinking to excess and retiring to bed later than advisable. The 5.30am alarm was not a welcome one. We were on the road at just gone six. It was raining, Raining heavily. I had a plan to get the 25 odd miles to the start without using main roads. In the dark this proved to be folly. When lost I sought the directional back up of my 'smart' phone. It could not get a lock on our position and despite being waterproof it apparently has a screen that cannot be operated by wet hands. Each raindrop sent the googlemap into a frenzy as it interpreted the drops as my fingertips and ignored my attempts to control it. We eventually arrived ten minutes before our start time. On the ride there I began to wonder if I really have the mettle to compete in long distance events. I was distinctly not enjoying being wet, cold and trundling lost around the lanes of Dorset in the dark, wee hours of Sunday morning. I would rather be in bed, warm and sleeping. Then I satisfied myself with the thought that anyone who did actually enjoy this would surely be a pervert of the highest order and because I was having a crap time I was surely not one of those. But then, what exactly was I doing here? I would have been a contender. We completed scrutineering quick time and set off almost on time. The camaraderie of competing in a group began to lift the spirits. The rain even let off ever so slightly too. 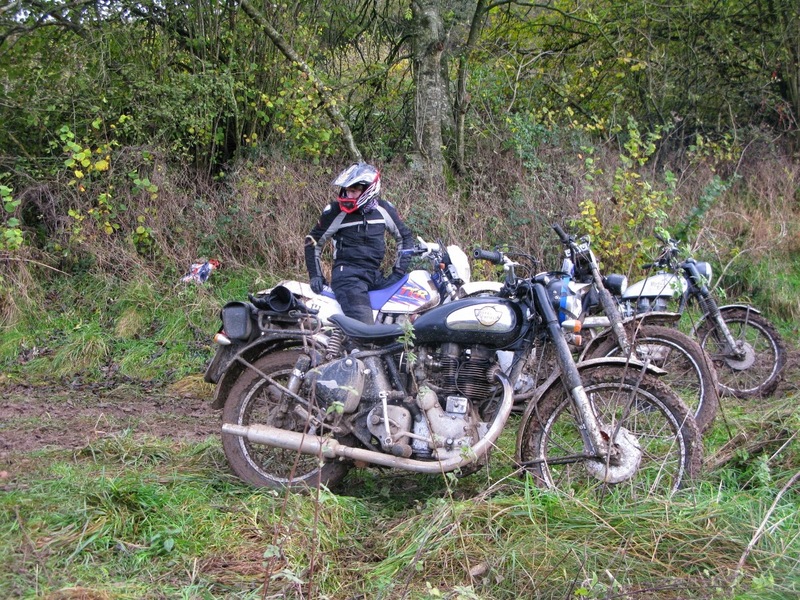 There were just four bikes in Class A, the vintage class: Dan on his rigid Matchless, Toby riding Dan's Bullet, Simon from Sussex on his 350 AJS and myself on my Indian Bullet, an honorary old bike on account of its complete unsuitability. The four old bikes rode together along with Matt on his Yamaha TTR 250. Dan's promise that the event was easier than an MCC trial was soon proven to be a complete fabrication. I fell on the first hill (though to be fair most made it up fine). This set the tone for the rest of my trial. 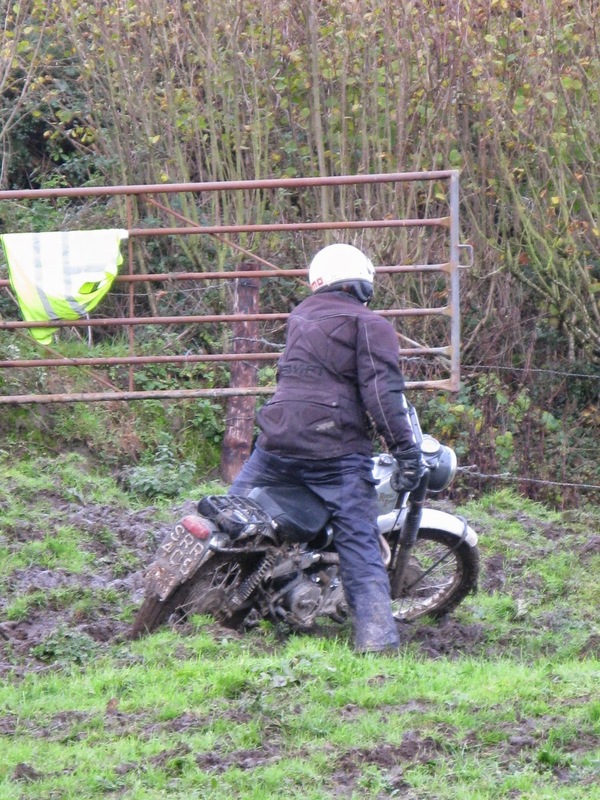 The wet weather had made going incredibly slippery. This combined with my worn out trials tyres made for a very high score (the aim is low...) Each section was attempted though many with the knowledge that making it ten yards would be an achievement. The TTR struggling for grip. 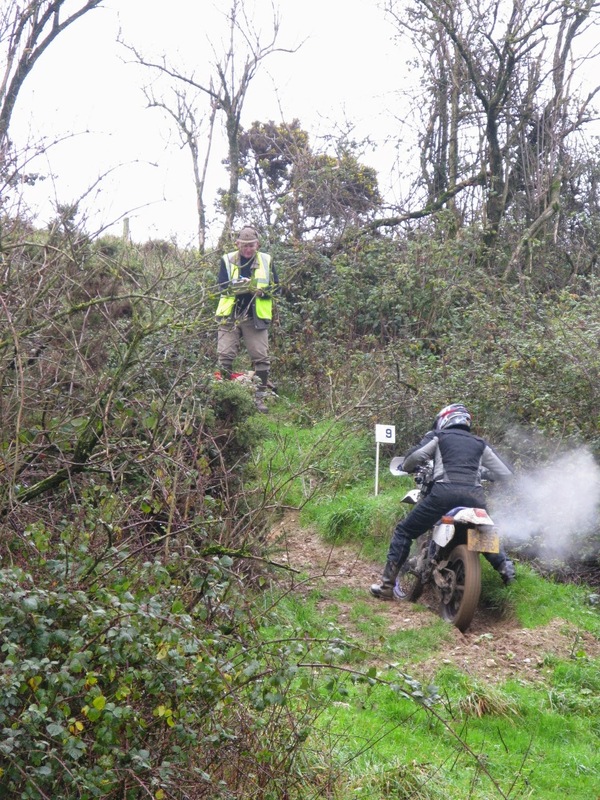 The trial was a mix of hills and short sections. The 'fail routes' were well planned. 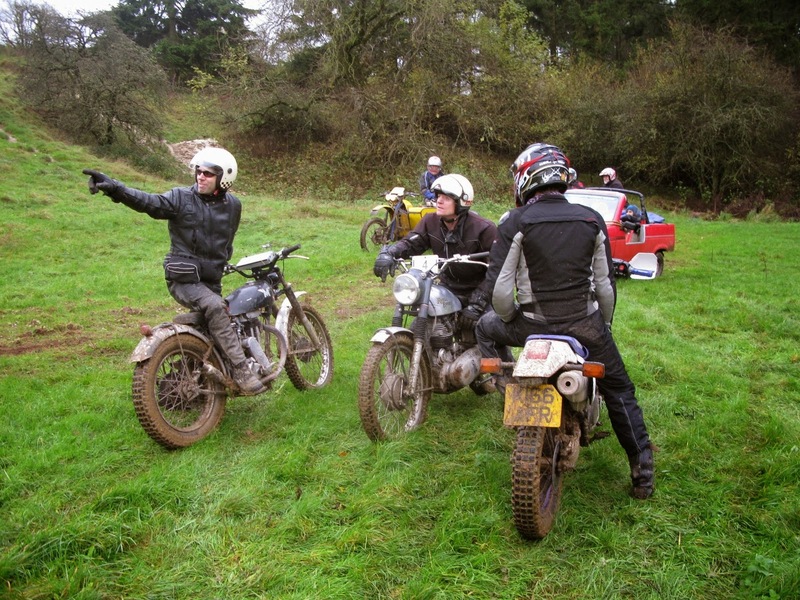 This has always been a problem in the MCC trials if you are riding in a group - one of you fails, the others make it up and suddenly you are completely lost from each other. 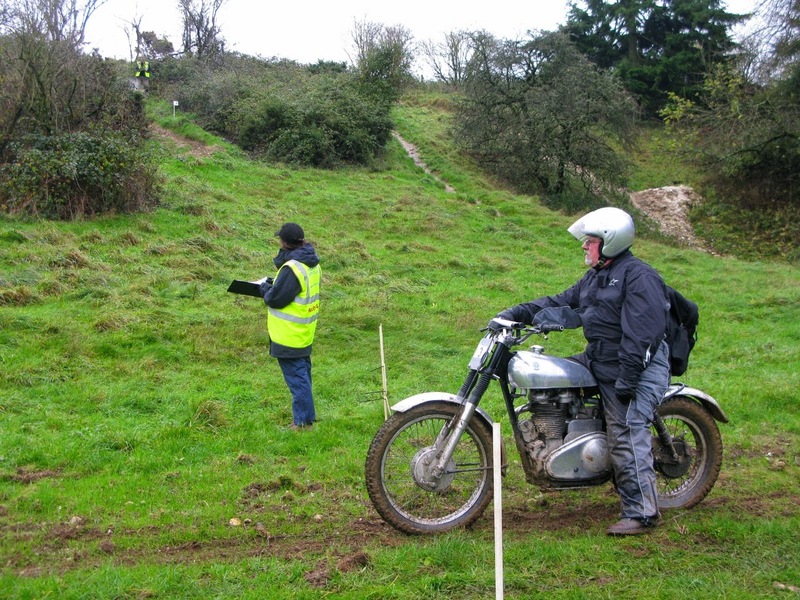 In the Hardy trial all ended up in the same place, a good job too as I often found myself returning to the bottom of a hill! It even stopped raining for a while. All in a great event, we all made it around without getting a tool kit out. I only fell off once, the rain even let up for a while later on in the morning and the West Dorset scenery was stunning. Would I enter again? Certainly, perhaps on a more suitable machine though. A couple of the moderns made it all the way through with no penalty. 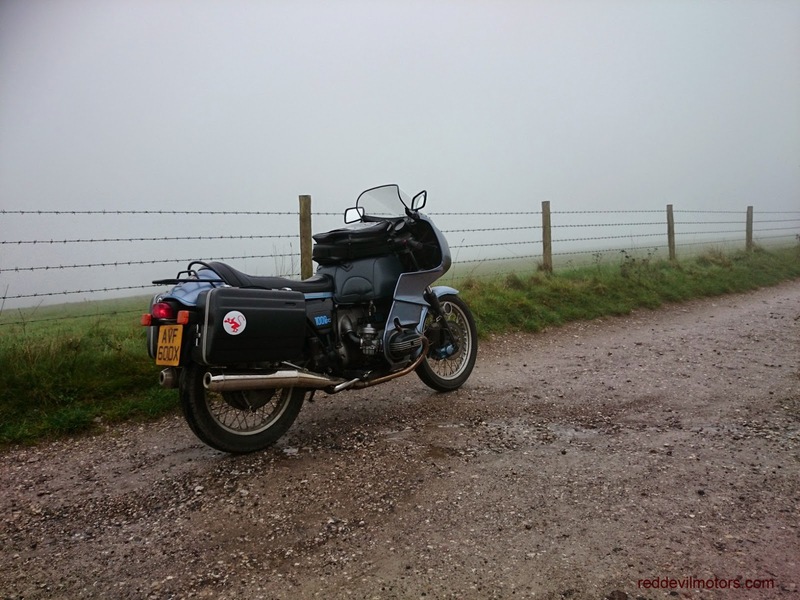 The weather makes all the difference but a reasonable rider on a well prepared classic would find it a challenge without being too tough. The rather remarkable Reliant showing up us motorcycles. Toby and the Bullet properly bogged down. Matt running away from mud. Serious business. Dropping pressures on the Reliant. The not so Fantastic Four. The Bullet at the end. Nothing broken. Toby valiantly attempting to traverse a marsh. 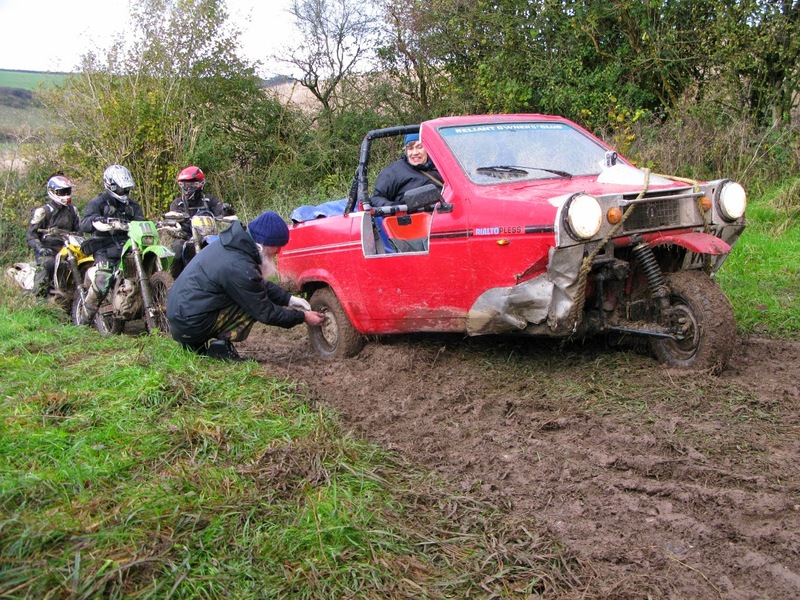 a section with a Reliant Robin than we did on bikes..
was me and Dan came close! 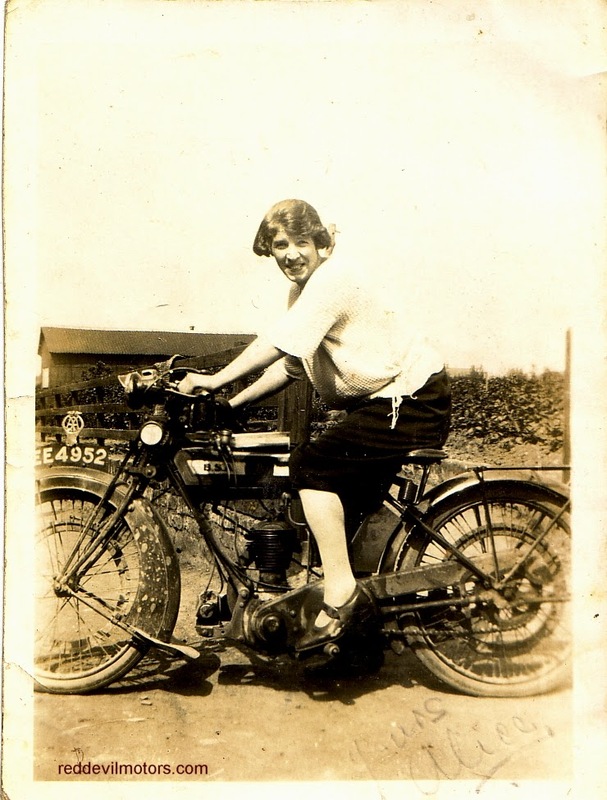 Nice period photo of a BSA which I'm guessing on as a 1925 Model L25 350cc. Brochure for the Greeves 24MD and 24MDS scramblers. The difference between the MD and the MDS was that the MDS had Greeves' own design of alloy barrel and head with accompanying Amal carb and a claimed extra 4bhp. The MD made do with the standard Villiers supplied iron barrel. 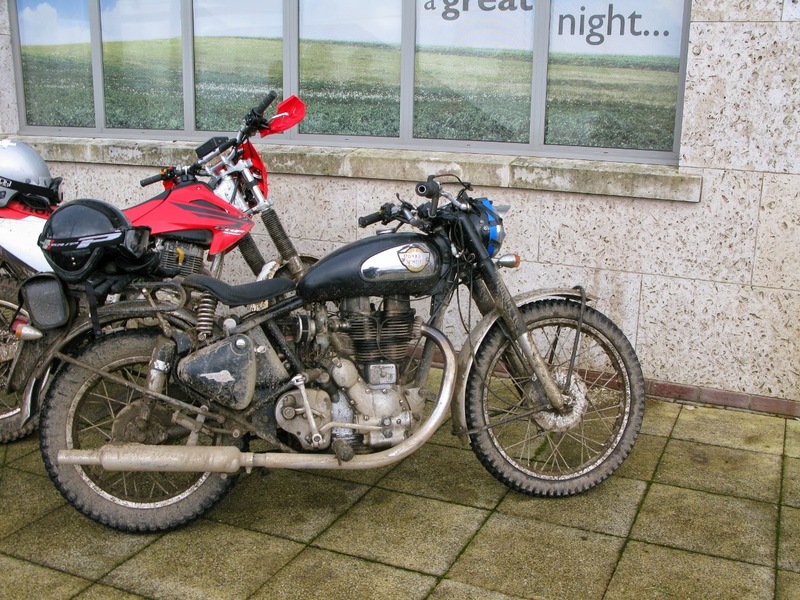 Both bikes were 249cc and used the Villiers 32a motor. 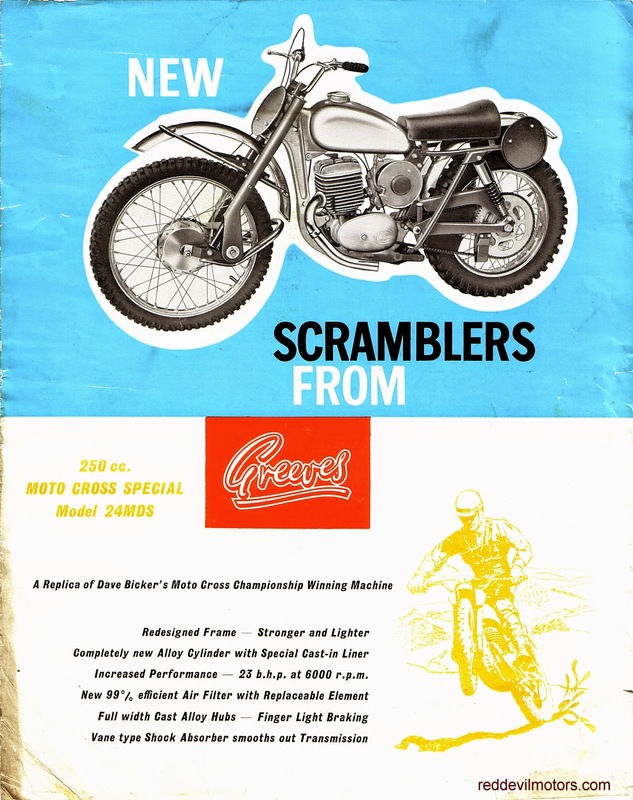 1962 Greeves scramblers brochure page 1. 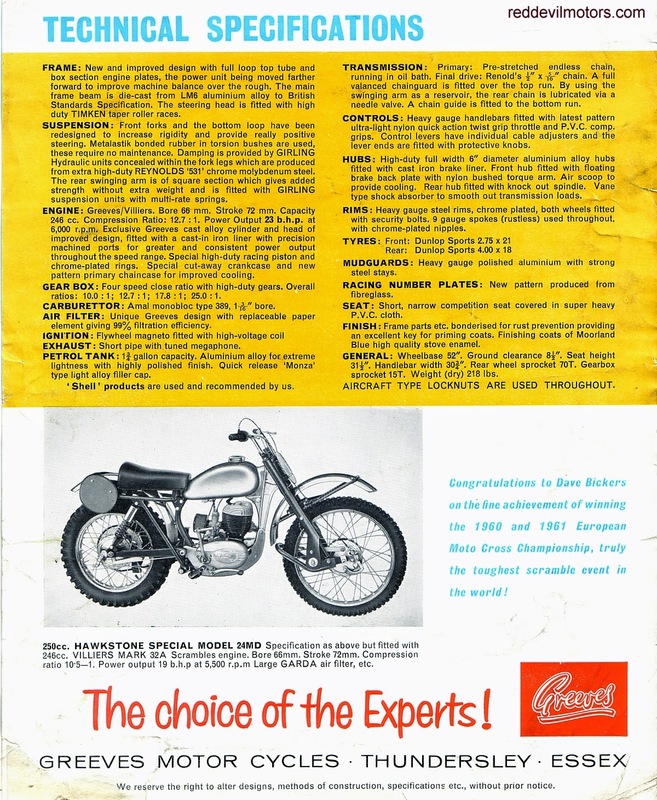 1962 Greeves scramblers brochure page 2.